The Chromebook poster child. The most expensive Chromebook available is unsurprisingly fast and very versatile. Just be prepared to bring all your USB Type-C adapters along for the trip. Chromebooks aren't for everyone. 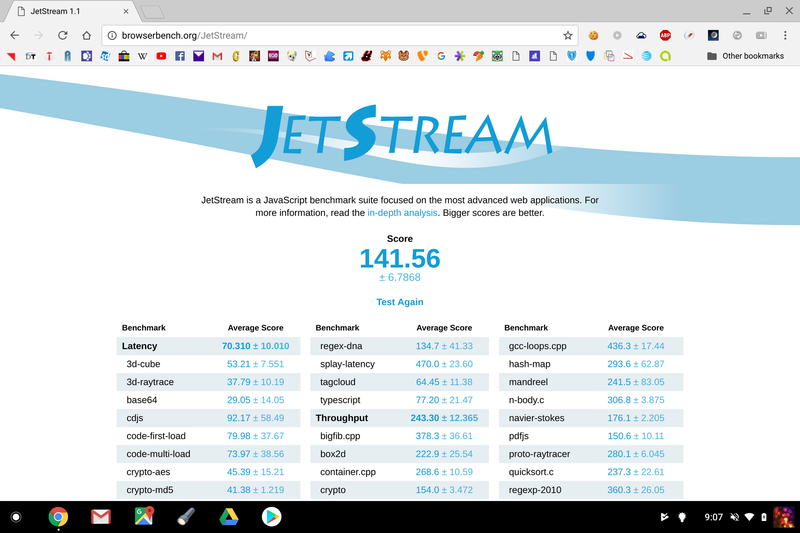 As detailed on our list of what Chromebooks can and cannot do, its environment does not cater to the everyday needs of most Windows or MacOS users and is instead made to serve as a SSH client with heavy dependence on Google's cloud services. As a result, Chromebooks are often very inexpensive since Chrome OS is laser-focused on web browsing and remote work. Recent examples include the Acer Chromebook 14, Lenovo Flex 11, and Lenovo ThinkPad 13 each retailing for less than half of Google's latest convertible. A very small handful of Chromebooks can be as pricey as modern Ultrabooks. 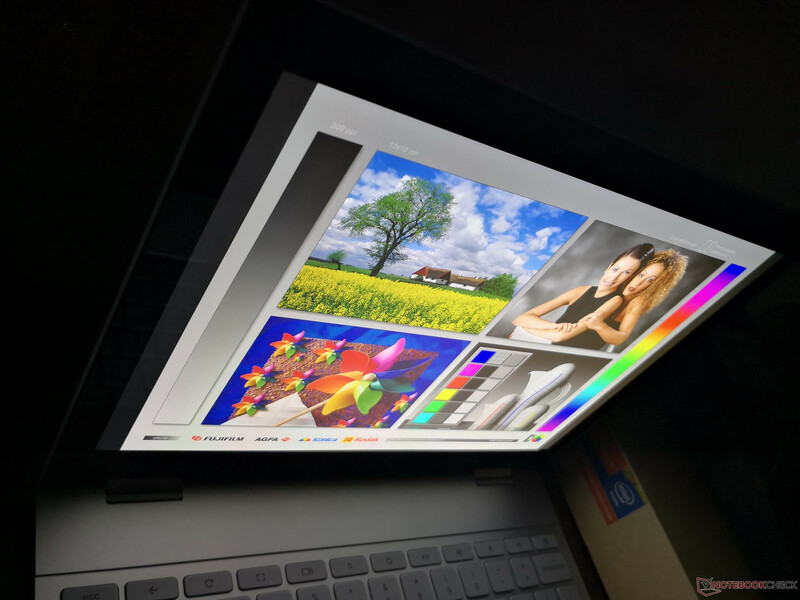 The HP Chromebook 13 G1 and Google Pixelbook are prime examples of the "extreme" side of Chromebooks with their classier aluminum uni-body builds and very high resolution panels to attract more Enterprise clients. 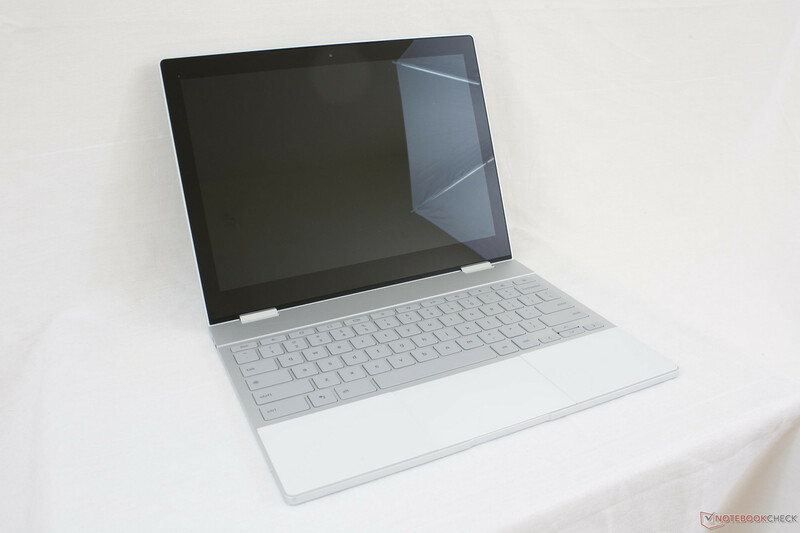 Our test unit today is the base $999 USD Pixelbook convertible with a Core i5-7Y57 CPU, 8 GB of RAM, and 128 GB SSD. Upgrading to a larger 256 GB SSD will cost another $200 USD while the highest-end SKU throws in a Core i7-7Y75 with 16 GB of RAM and a 512 GB NVMe SSD for $1650 USD. 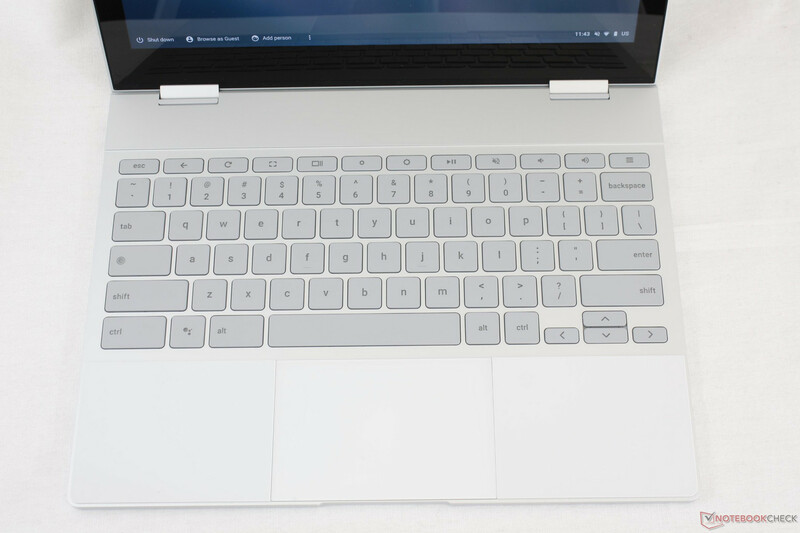 For this review, we will be comparing what the Pixelbook hardware offers over both cheaper Chromebooks and similarly-priced Windows alternatives to justify the four-digit MSRP. 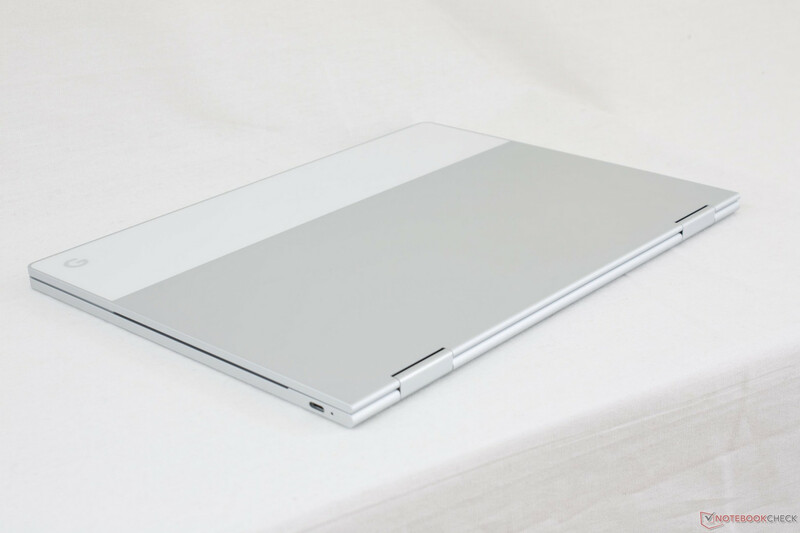 The aluminum chassis and very thin design are the primary highlights of the Pixelbook. 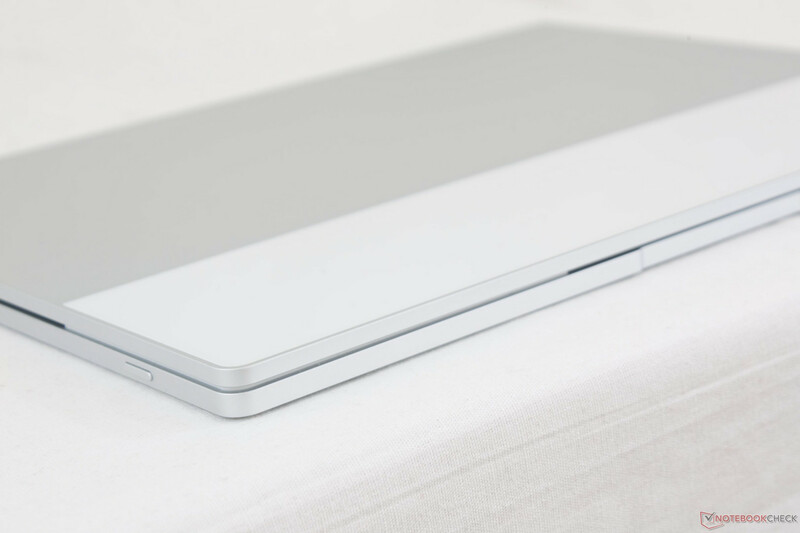 Its matte silver surfaces detract fingerprints and feel almost identical to the outer lid of the XPS 13 in terms of texture and rigidity. 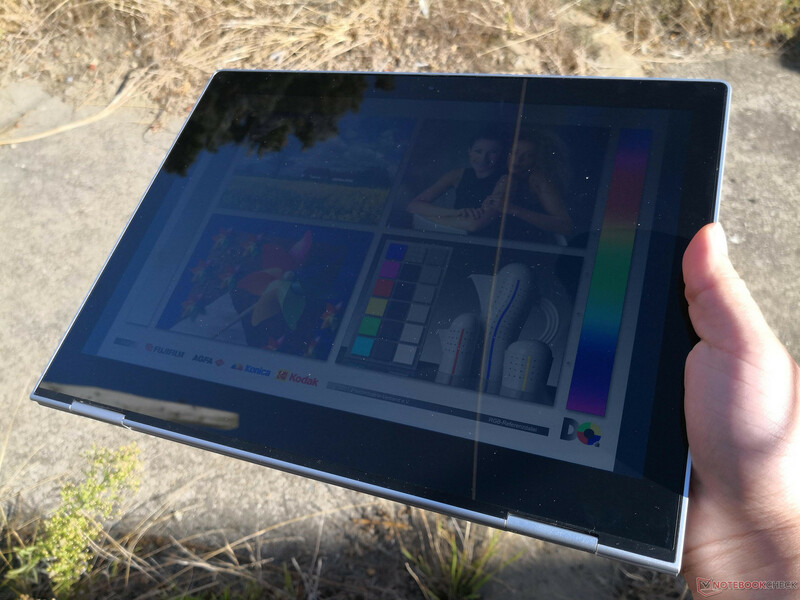 The notebook feels stronger than the Lenovo Yoga 900 series down to its corners and even the hinges. Applying pressure on the outer lid or keyboard center results in very minimal warping as does twisting the base or lid with absolutely no audible creaking. The Pixelbook is proof that it's possible to create a very thin convertible notebook while remaining inflexible. If we are to nitpick some aspects of the design, the white rubberized palm rests and the glossy white strip across the top of the outer lid may not be to everyone's liking. 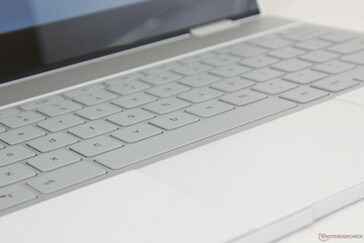 The purpose of these surfaces is to provide grip when typing, handling, or changing modes, but the white palm rests in particular will indubitably become worn, gray, and oily over time not unlike on the Alcantara fiber of the Surface Laptop and detachable Surface Pro keyboard. The plastic white strip is likely beneficial to the internal wireless radio too, even though its glossy surface can feel out of place in an all-aluminum matte build. 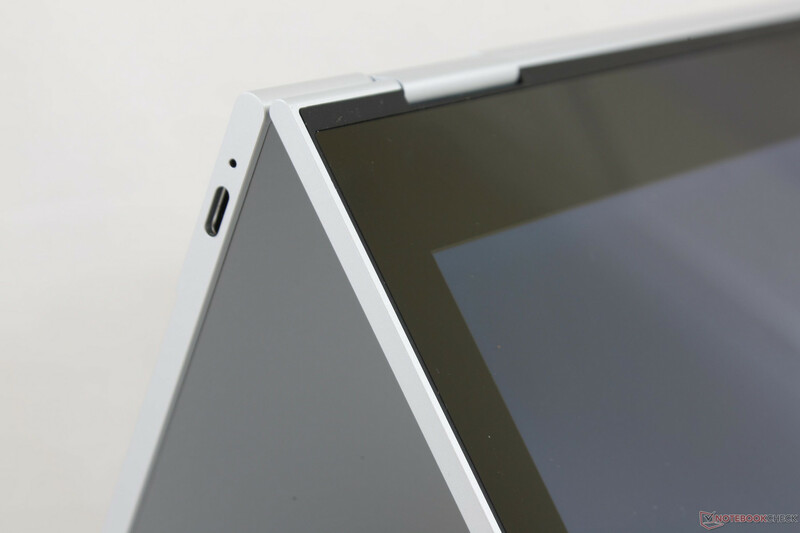 Lastly, the bezels are very thick (~1.5 cm from the sides and ~2.0 cm from the top) when compared to most newer mainstream notebooks like the Yoga 920, Spectre x360 13, XPS 13, or Zenbook 3. We imagine that the larger footprint was necessary in order to reduce flexing and avoid overly cramped keys on a 12.3-inch screen size. 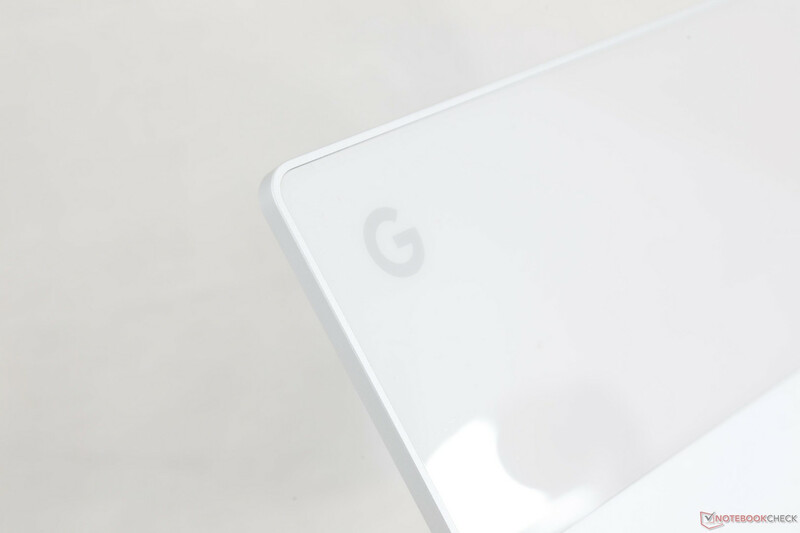 Unsurprisingly, the Pixelbook is thinner, smaller, and lighter than the four-year old Pixel and nearly identical to the Surface Pro 5 tablet in thickness, length, and weight. It's no exaggeration to say that the Chromebook is one the most portable convertible notebooks available in the 12-inch category without the hassle of clunky detachable keyboard bases. 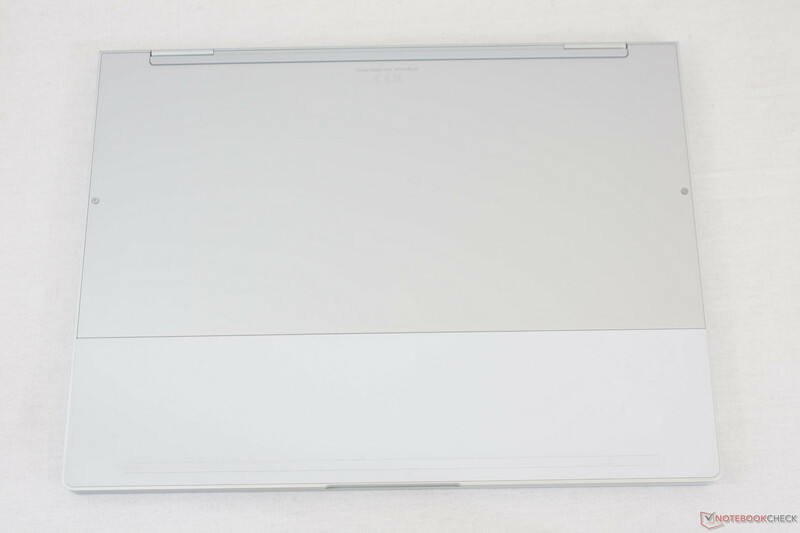 Note that the Spectre x360 13 includes a larger 13.3-inch display while weighing very nearly the same since it utilizes narrower bezels than the Pixelbook. The Pixelbook joins the small group of ultra-thin notebooks that ship with only USB Type-C ports including the Zenbook 3, Spectre 13, MateBook X, and MacBook Pro 15. Thunderbolt 3 is not officially supported here, but either of the two USB Type-C ports can output to 4K via mDP or be used for charging. It's very disappointing to see no integrated card readers or USB Type-A ports. 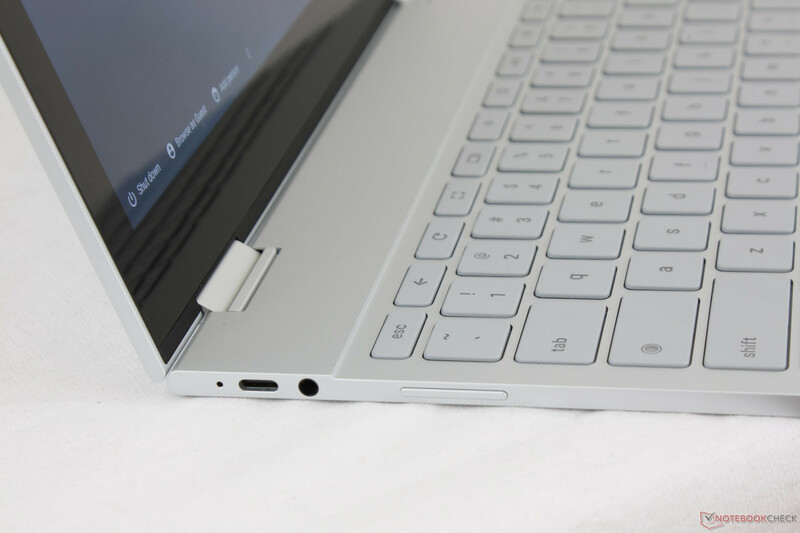 The HP Chromebook 13 G1 includes all ports found on the Pixelbook in addition to USB Type-A and a MicroSD reader. WLAN supports 2x2 802.11ac speeds as confirmed by our transfer rate tests that show very similar results to the common Intel 8260. Bluetooth 4.2 is integrated and works without issues. Our WLAN experience with the machine has not been perfect. While we can't speak for every unit available, our test unit would randomly disconnect from our Linksys EA8500 router once every couple of hours or so of non-stop use. This occurs without warning and can be remedied by reconnecting to the network. There are no GPS, NFC, or WWAN options on the Pixelbook unlike on certain Lenovo ThinkPad or Dell Latitude models. There are no included extras outside of the AC adapter and charger. In fact, the standard packaging is devoid of any paperwork as well. It's also disappointing that the notebook includes no USB-C to USB-A adapters. 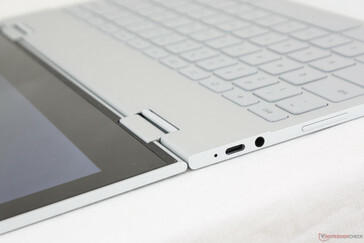 In contrast, HP included a free adapter with the initial launch of the Spectre 13 since the manufacturer was aware that its users will want to use USB Type-A devices. The Pixelbook Pen stylus is sold separately for another $100 USD. There are two T5 Hex screws on the bottom panel similar to the screws used for the XPS 13 and Razer Blade. The panel is latched very tightly along its perimeter and we are unable to reliably remove it even with a sharp edge. It's clear that easy serviceability is not a selling point of the super-thin unibody design. The standard one-year limited warranty applies for North American users while users in the UK are covered for two years. Please see our Guarantees, Return Policies & Warranties FAQ for country-specific information. 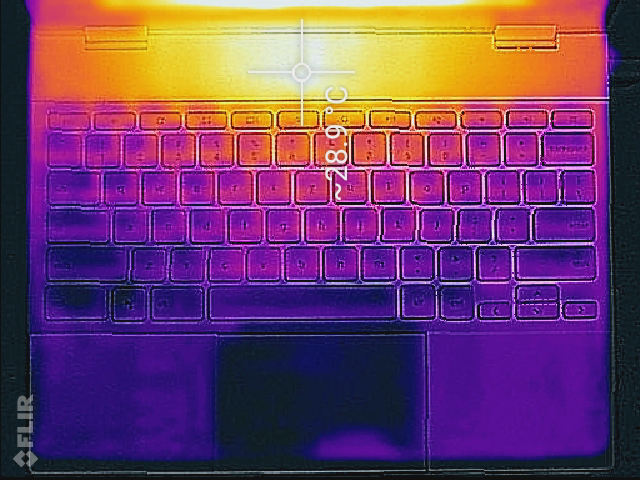 At first glance, the backlit keyboard (~27.5 x 10.5 cm) keys appear soft and spongy because the individual keys are almost leveled with the surrounding chassis base. While travel is indeed as shallow as it looks, feedback is actually firmer than on many Ultrabooks like the XPS 13 or Yoga 920. 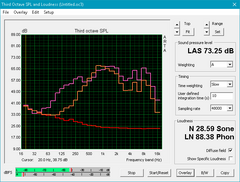 The drawback is a high-pitched loud clatter that seems unusual for a membrane-based keyboard. Note that the loud clatter applies only to the main QWERTY keys while the surrounding half-sized keys are softer when pressed. It may take some time for users to become accustomed to the shallow travel and unique clatter of the keyboard keys. The multi-touch trackpad (10.3 x 6.8 cm) is similar in size to the trackpads of the physically larger XPS 13 (10.5 x 6.0 cm) and Surface Laptop (10.5 x 7.0 cm). 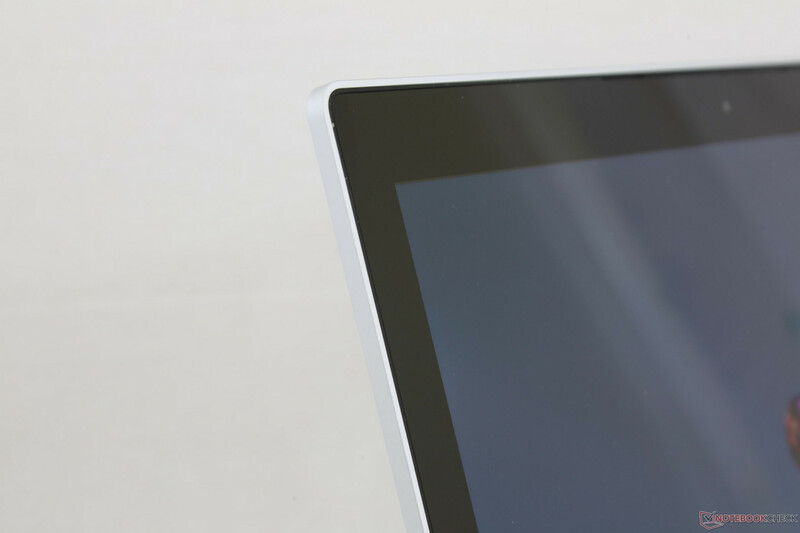 The clear matte surface provides a smooth and responsive glide with no cursor jitters for precise movement. 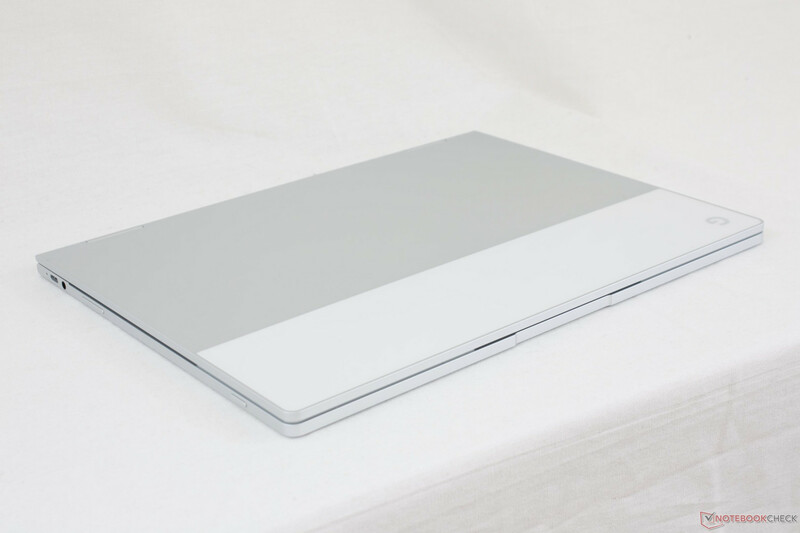 Unlike most other notebooks with darkened trackpads, the clear plastic outer layer of the Pixelbook trackpad is excellent at hiding grease build up and extends nearly all the way towards the front edge of the notebook to maximum surface area. The integrated mouse keys are shallow in travel, loud in clatter, and generally firm in feedback. 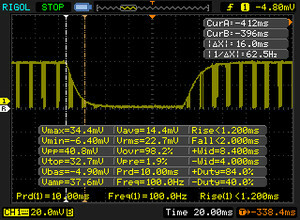 Unfortunately, the bottom left corner feels softer and spongier than the bottom right corner on our particular test unit. 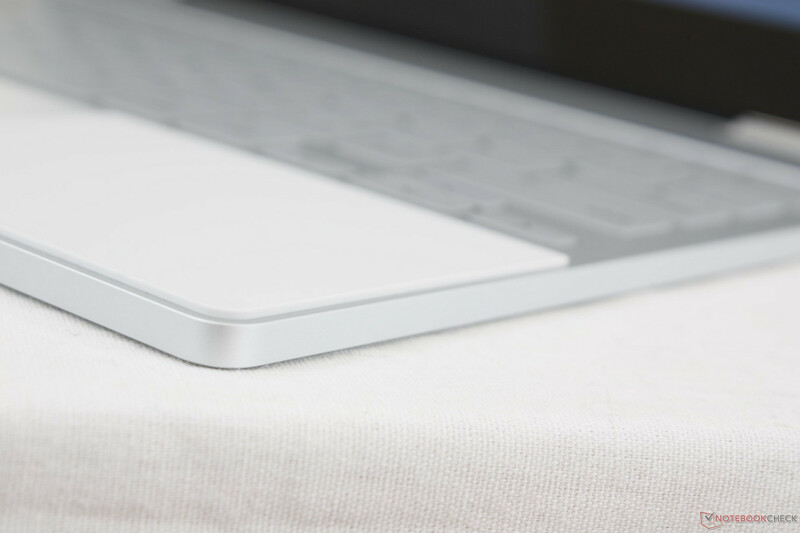 The unevenness makes it more reliable to simply tap on the trackpad or display for mouse inputs instead. 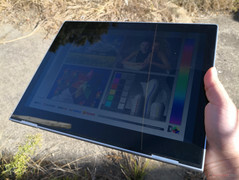 The uncommon 3:2 12.3-inch display carries a native resolution of 2400 x 1600 pixels to be slightly less dense than the display of the Surface Pro tablet. 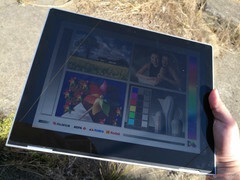 Even so, images are still very sharp with contrast and brightness values comparable to the Microsoft tablet. The overlying glass layer is thin enough that colors appear vibrant and close to the surface. We can notice no graininess issues on the glossy display that can often occur on matte panels. While the display is very clean and offers a level of clarity not found on most cheaper Chromebooks, it does carry a few drawbacks. For one, its backlight distribution could be better as the bottom half of the screen is measurably dimmer than the top half. Secondly, display response times are slower than on most Ultrabooks for more noticeable ghosting when browsing or during video playback. And finally, pulse-width modulation is present on all brightness levels that may potentially irritate users who are sensitive to onscreen flickering. The Microsoft Surface Laptop suffers from none of these issues. 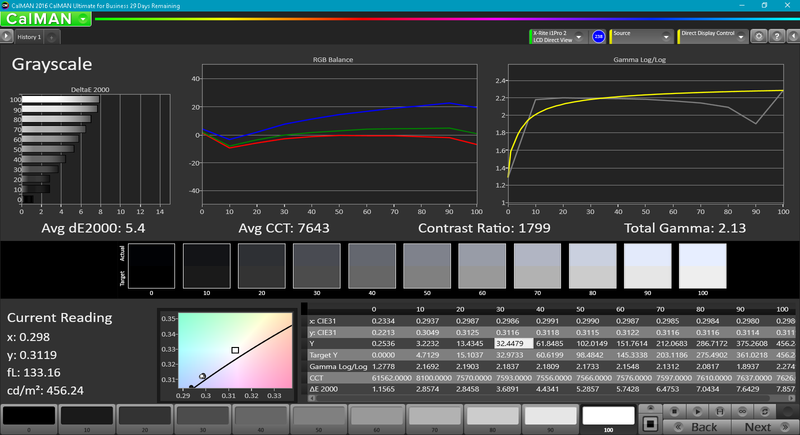 Spectrophotometer measurements reveal a slightly cool color temperature and an average deltaE grayscale. While more than acceptable for Ultrabooks, Google advertises the Pixelbook as a notebook for Adobe Lightroom editing. 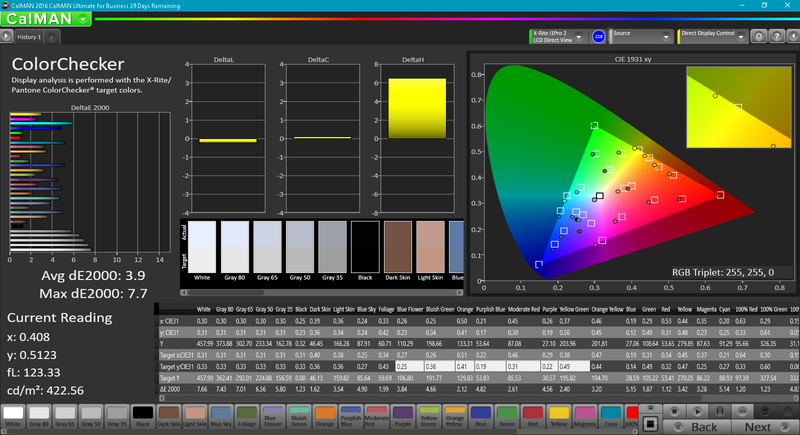 The MacBook Pro, Surface Laptop, and Surface Book notebooks have more accurate colors and grayscale out of the box than does the Pixelbook. Outdoor visibility is very similar to the Core i7 Surface Pro 2017 since their backlights are about the same in average brightness. 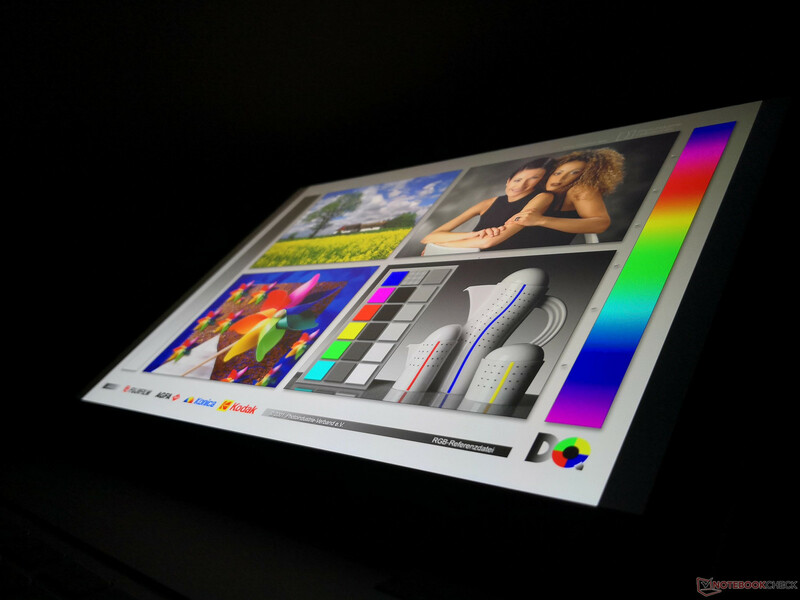 Glare is present even if on the maximum brightness setting, but the wide viewing angles aid in reducing reflections to more manageable levels. 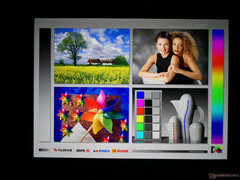 Nonetheless, be ready to squint if working under direct sunlight since colors will still be washed out. 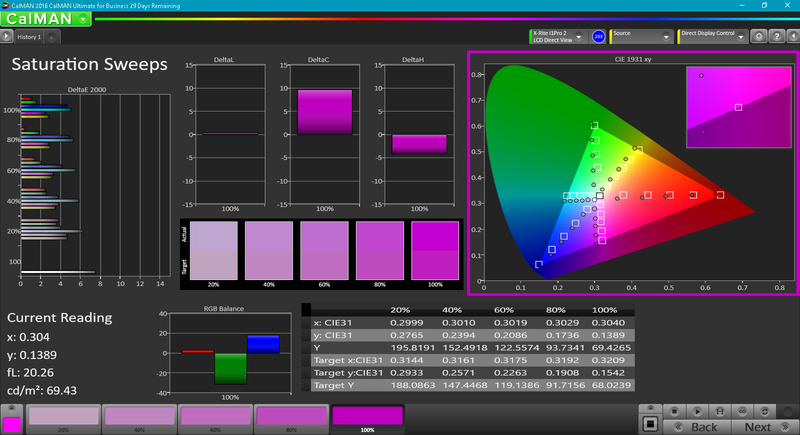 There is no purple or yellow hue if viewing from extreme angles as may occur on some IPS panels. 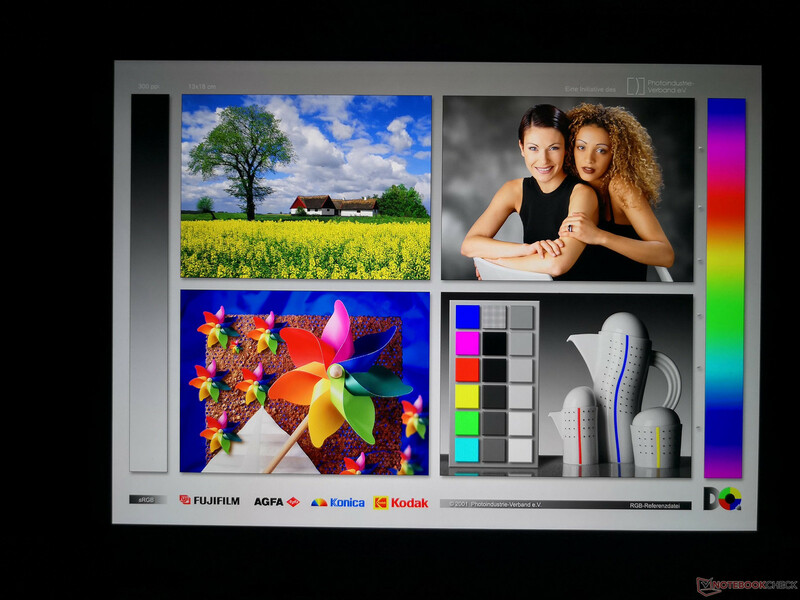 The Pixelbook is notable for its passively-cooled 15 W Kaby Lake ULV Core ix processor. Its raw performance is well above the common Celeron-powered Chromebooks found on entry-level models and may even be considered overkill for streaming and word processing needs given the very low resource overhead of Chrome OS. 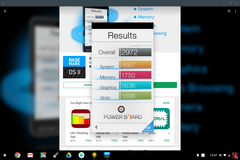 While even the cheapest Chromebook already feels snappy, heavy multi-taskers may appreciate the additional horsepower and RAM. Switching between multiple applications and apps in very quick succession would result in only the most minor of stutters. 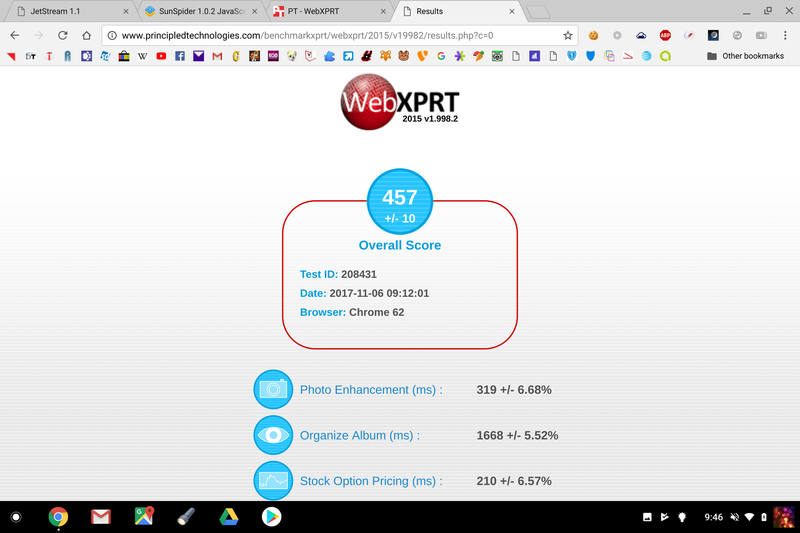 Browser-based benchmarks like Jetstream, Sunspider, and WebXPRT 2015 reveal the Pixelbook to be on par with cheaper Chromebooks such as the ThinkPad 13 (i5-6300U), Acer Chromebook 14 (i5-6200U), and the HP Chromebook 13 G1 (m5-6Y57). 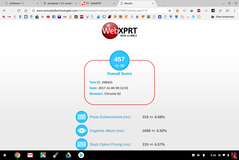 Users who want the Pixelbook only for video streaming, browsing, and word processing will generally not find the notebook to be any faster than the aforementioned alternatives even though the i5-6300U and i5-6200U are objectively faster CPUs. Android Play Store games work well provided that they do not rely on having a GPS. Asphalt 8 functions with the built-in gyroscope for steering but will stutter slightly if running on fullscreen mode. The resolution scaling is far from perfect and so dedicated Android tablets are still preferable for crisper Play Store games. Otherwise, the default Window mode for Play Store apps is a paltry 720p with 1:1 pixel mapping. 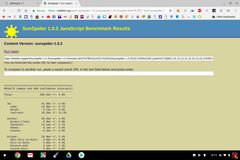 We've also decided to run Android-based benchmark tools on the Pixelbook and have recorded the results below for the sake of curiosity. 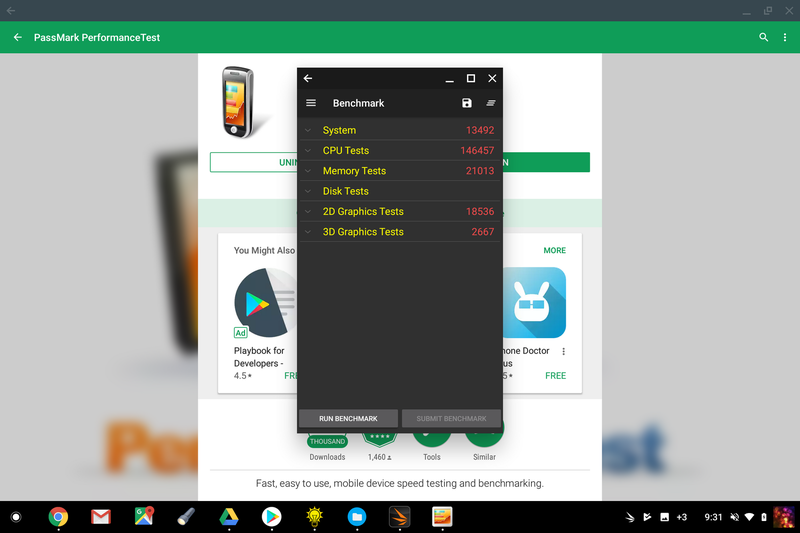 Note that these numbers should be taken with a grain of salt as the Play Store apps are not designed to run in a virtual Chrome OS environment or test Chrome OS performance. 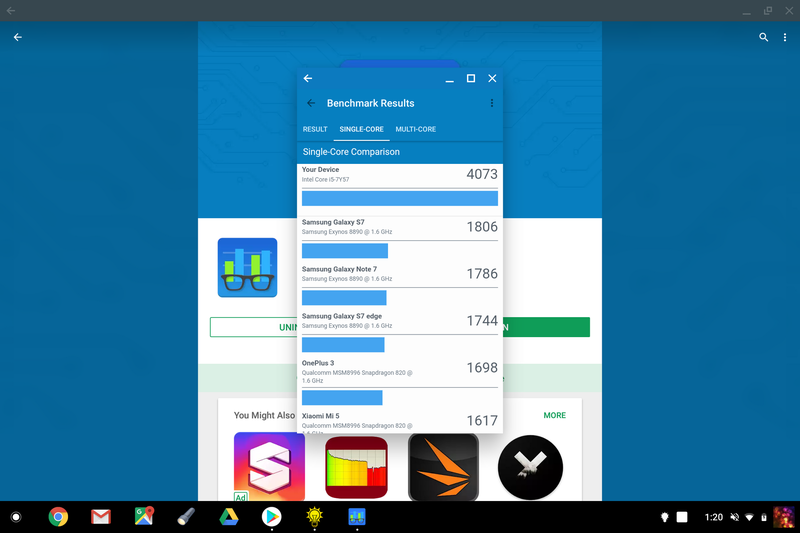 Results are inconsistent from most of the Android benchmark apps. For example, Ice Storm Physics and Geekbench single-core benchmark scores are 70 percent and 100 percent higher, respectively, than the Exynos-powered Galaxy Note 8. 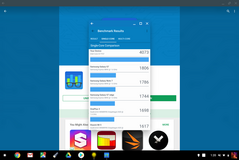 Meanwhile, the very high PCMark Storage score rivals the Huawei Mate 10 Pro while AndroBench favors the Huawei smartphone by over five-fold. 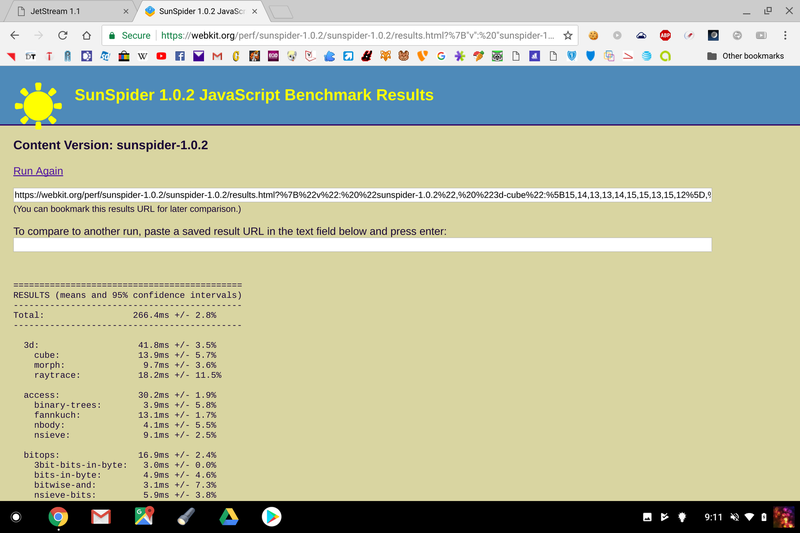 Interestingly, graphics-intensive benchmarks show the Pixelbook struggling against current flagship smartphones while most CPU-intensive benchmarks show the Chromebook to be well ahead. A small handful of Android apps would refuse to run. 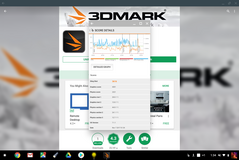 Aside from GPS-dependent apps, both Epic Citadel and 3DMark Slingshot 3.0 Unlimited would crash upon launch. 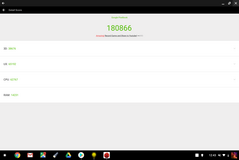 The 128 GB SSD in the base configuration is very slow according to AndroBench. Its sequential write rate of about 120 MB/s is only a fraction of the speed of the UFS 2.1 SSDs in the Galaxy Note 8 and Huawei Mate Pro 10 smartphones. The slow performance is likely an attempt to bolster the upcoming 512 GB SKU that is explicitly advertised as a NVMe SSD. 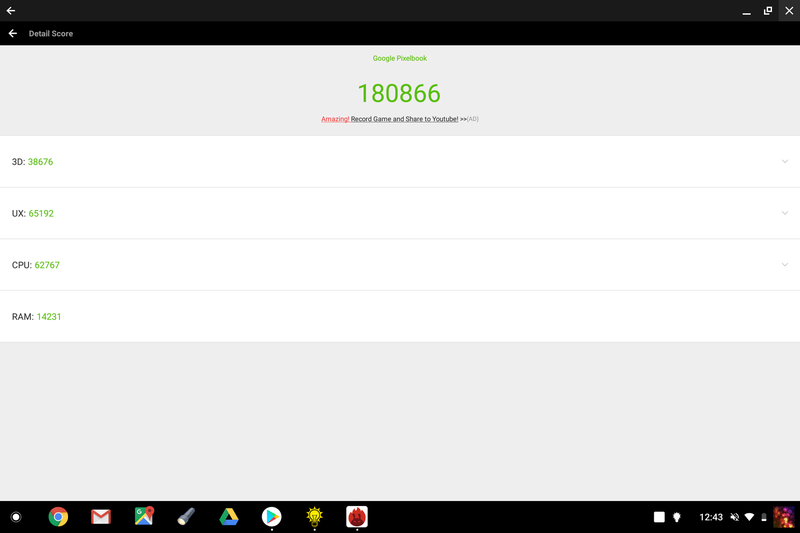 As noted earlier, AndroBench is not designed to run in a virtualized Android environment and the results may not accurately reflect the Pixelbook. 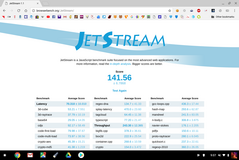 For a Chromebook, 128 GB is a healthy amount of space and certainly more than what cheaper chromebooks offer where 16 GB or 32 GB can be common. This may or may not make up for the overt lack of a SD reader depending on the demands of the user. 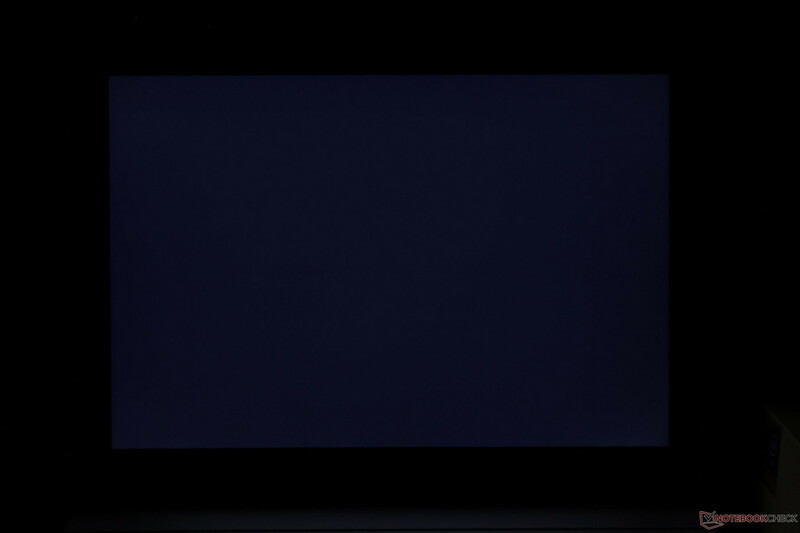 Like the recently launched Huawei MateBook X and certain SKUs of the Surface Pro 2017, the Pixelbook is completely silent. 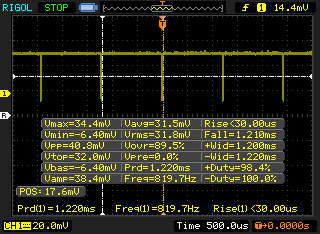 Our test unit exhibits slight electronic noise at all times similar to our last XPS 13 unit. However, the noise is inaudible from a normal viewing distance and can only be heard when placing an ear very closely to the keyboard. 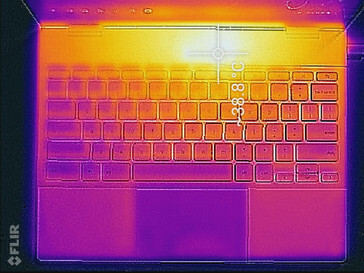 Surface temperature is largely symmetric down the center of the notebook. 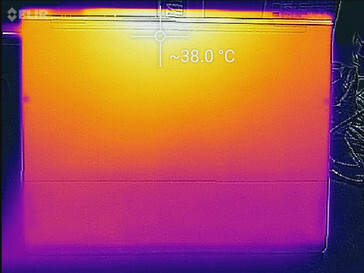 The gradient is very similar to a classic point source since there are no fans expelling and drawing away waste heat. 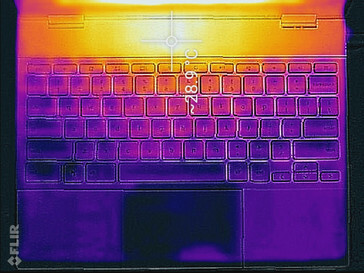 As shown by our temperature maps below, the hot spots are towards the rear of the notebook directly above the first row of keyboard keys where users are less likely to touch when typing. It will, however, make tablet mode warm on the hand if handling in landscape mode. At worst, we are able to record a surface temperature of 39 C after about an hour of looping multiple 1080p streams. The keyboard keys and rubberized palm rests remain cool and never become uncomfortable in practice. The temperature characteristics of the Pixelbook are actually very similar to the Yoga 920 and Spectre x360 13 convertibles except that these two alternatives can be even warmer at 45 C or greater and with faster processors each. 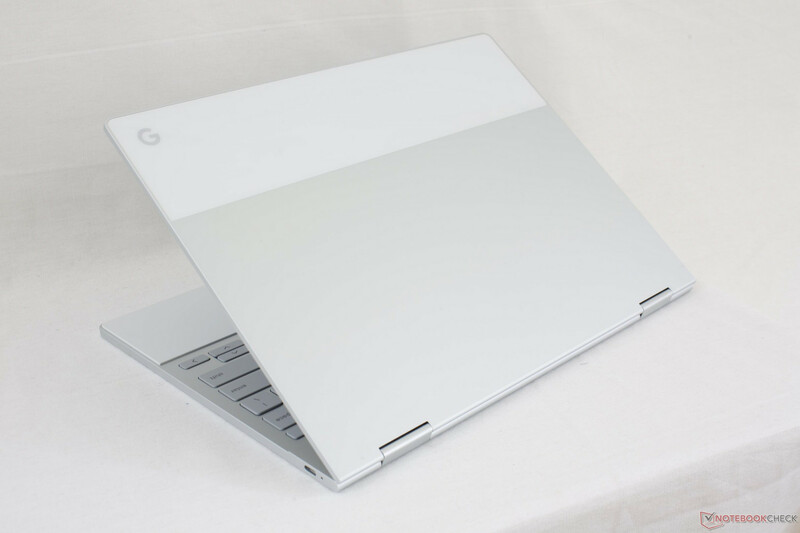 Unlike most other notebooks, the Pixelbook lacks traditional speaker grilles. Sounds emanate from underneath the two hinges with a surprisingly loud maximum volume considering the small size. 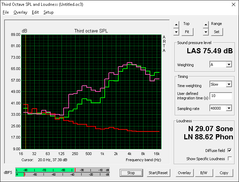 We can observe no reverberations or static on all volume settings. 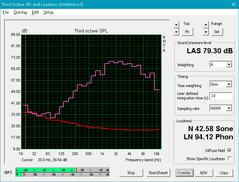 Sound quality, however, is merely average with poor bass reproduction as shown by our pink noise graph below. The "tin can" effect that is noticeable on most cheap netbooks and smartphones is present here on the Google Chromebook. Power consumption behavior is very strange on our unit despite triple-checking our instrumentation and results. 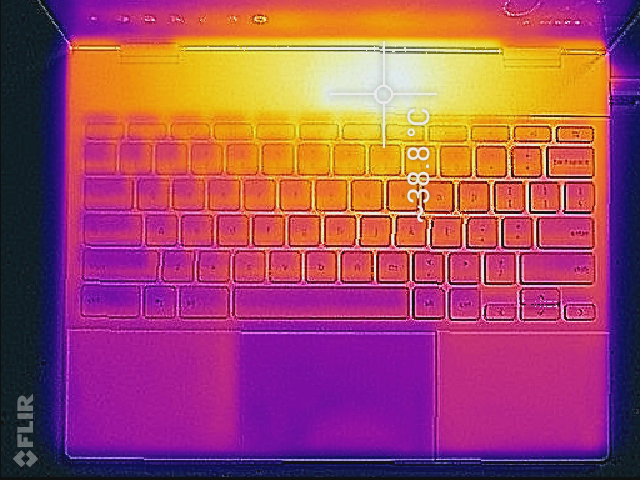 Normally, a notebook at full charge will still draw power from its connected AC adapter. On the Pixelbook, however, we can record no such consumption when idling or even when browsing. Only during very high loads would we begin to record significant AC adapter activity. Streaming three 1080p videos simultaneously, for example, would draw about 17 W at full battery charge. 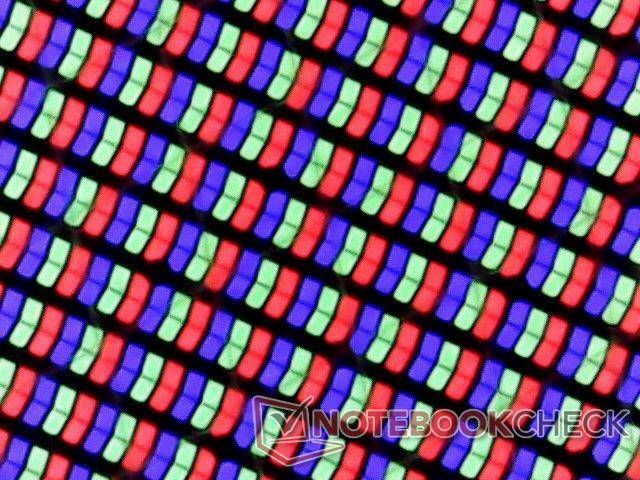 If the Pixelbook is not at full charge, then we can begin to measure higher consumption rates. 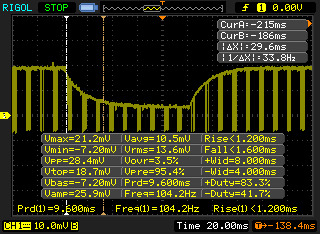 The notebook would draw between 10 W and 15 W when idling and up to 24 W when under heavy load. The very small 56 W AC adapter (~6 x 6 x 3 cm) is more than sufficient for the Chromebook and can also be used to Quick Charge (15 V 3A, 20 V 2.5 A) smartphones and other devices should they support the feature. 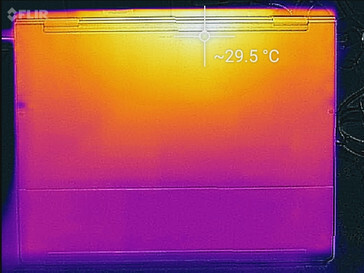 The internal 41 Wh battery is smaller than the 59 Wh battery in the original 2013 Pixel Chromebook. Even so, battery life is significantly longer this time around at nearly 14 hours of real-world WLAN use. The less intensive operating system also leads to longer runtimes than most - if not all - Windows notebooks with U-class ULV CPUs. Charging from near empty to full capacity will take about 90 minutes with the included AC adapter. It is indeed possible to charge the notebook with a power bank or another USB port as if it were a smartphone, but the process will be significantly slower and the unit would have to be shut off. There's no denying that the Pixelbook feels great to hold and use. 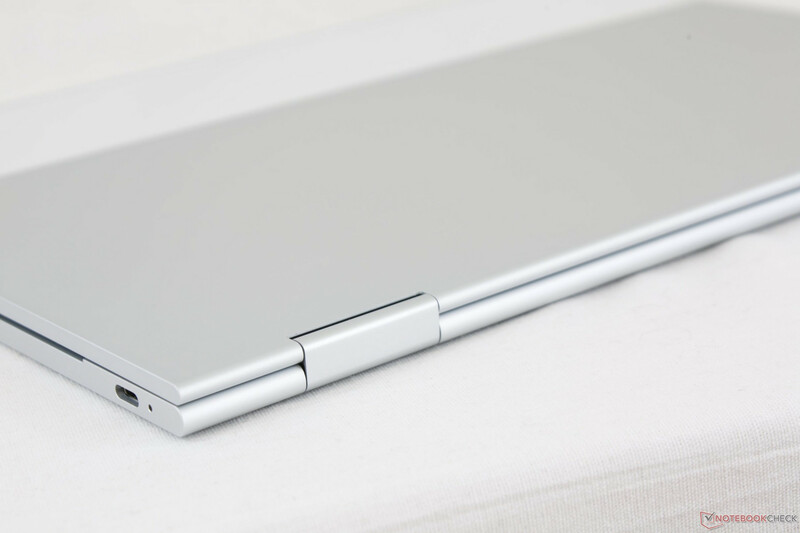 The chassis itself sits with the best that Lenovo, HP, and Dell have to offer in the lightweight subnotebook convertible category while remaining firm and surprisingly unyielding. 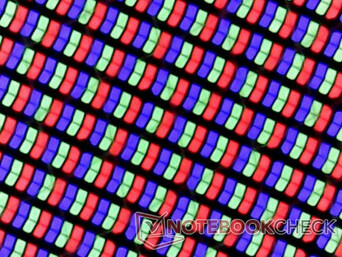 It would be quite the competitor in the mainstream Ultrabook space in the unlikely event that we see a Windows-based Pixelbook. 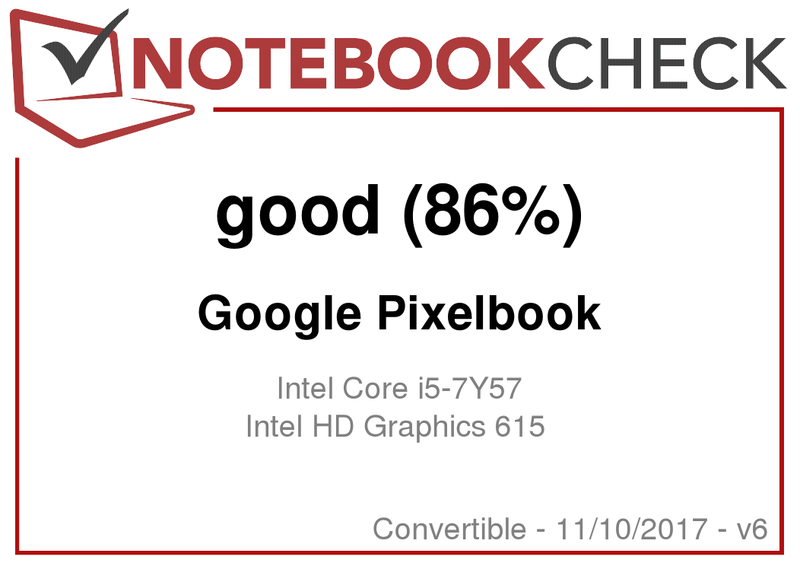 Can we definitively call the Pixelbook the best Chromebook available? While it's definitely fast and the most expensive, the Pixelbook sacrifices key features compared to $300 USD Chromebooks in order to satisfy its tight dimensions. For one, the lack of both USB Type-A and a SD card reader will inevitably become an annoyance especially on such a portable machine where connectivity should be readily available. The HP Chromebook 13 G1 includes both these missing options with a faster processor and the same dual USB Type-C ports for about $300 USD less. In addition, the HP and most entry-level Chromebooks are more easily serviceable compared to the closed nature of the Pixelbook that enthusiasts and IT departments will appreciate. 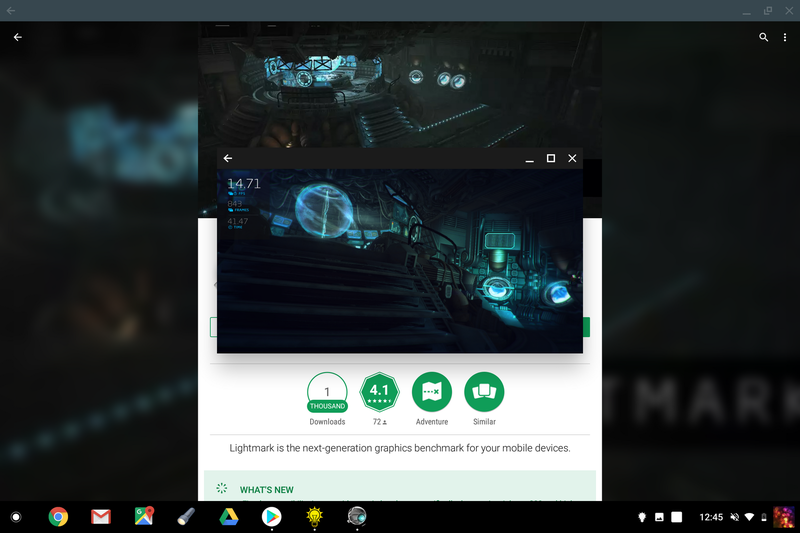 Other smaller details drag down what is otherwise an excellent and barebones Chromebook experience. 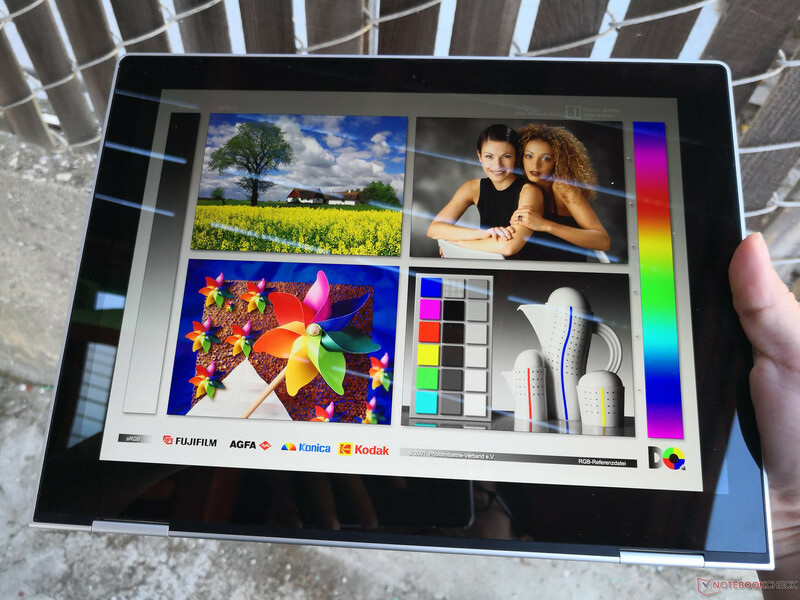 The display is not as calibrated as on the Surface Pro or MacBook Pro series and the slower black-white and gray-gray response times become very noticeable when web browsing in tablet mode. The 128 GB internal SSD is outperformed by standard SATA III SSDs and the high-pitched keyboard clatter is very noticeable if in a classroom or library. 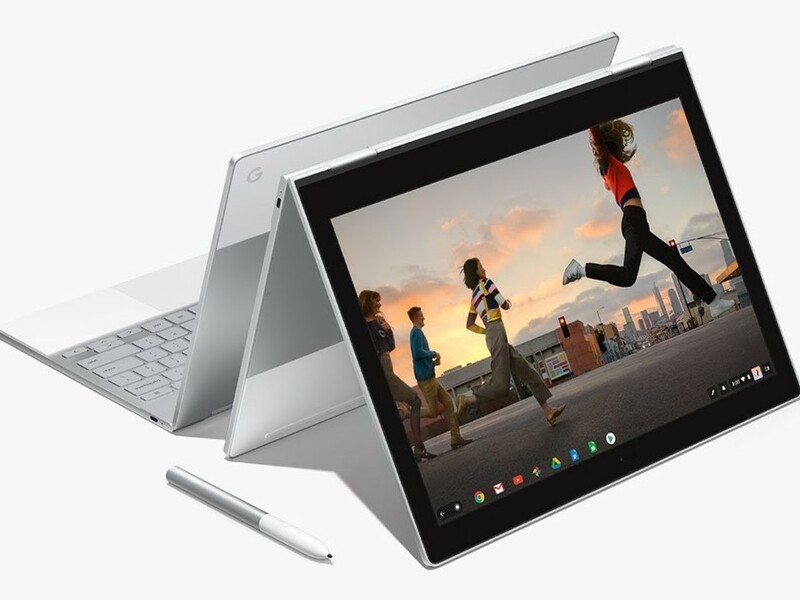 The Pixelbook is ideal for those who want a long-lasting, self-sufficient and travel-friendly Chromebook that just so happens to also have a glossy tablet mode for Android Play Store apps. If these strengths are not tempting, then a cheaper Chromebook like the Lenovo ThinkPad 13 or Asus Chromebook Flip with Play Store support can accomplish just as much and with a wider variety of integrated ports. The Pixelbook is thin and sturdy at the heavy cost of having fewer integrated features. 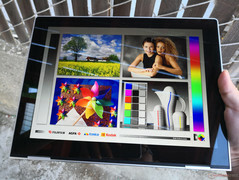 Its light weight, strong visual appeal, and versatile 2-in-1 modes are held back by its limited connectivity options and a display that isn't quite as accurate as the best from Microsoft or Apple with more noticeable ghosting and flickering.